As gardeners, we often take it as a personal failure when a plant succumbs to disease or dies in spite of our best efforts. There is always the question of what more could one have done that nags us in those quiet hours of the night. Okay, so they hound the likes of me and other plant obsessed people. As frequent as it might be sheer negligence or excessive nurturing that kills a plant, there are in actuality more universal, insidious reasons at work. 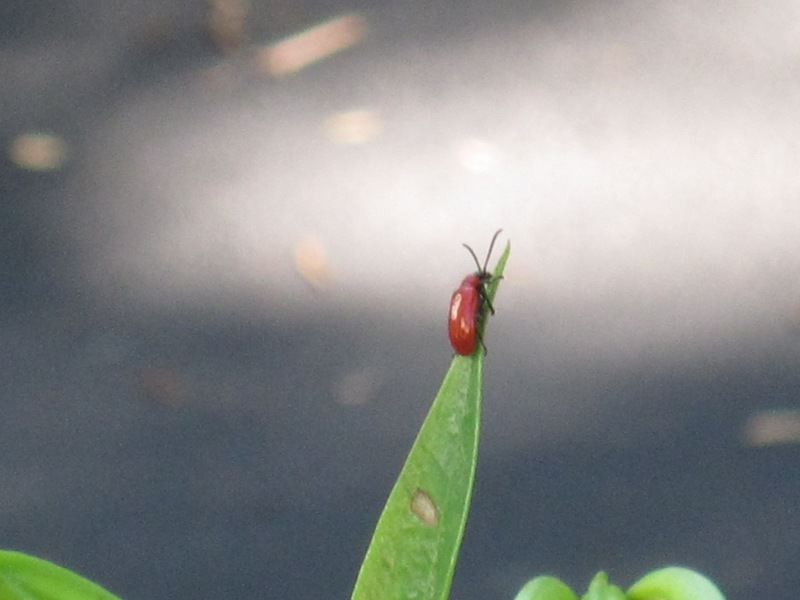 Pests like the long horned borer, fungi that kill Impatiens, the red lily beetle are all devastating and none are the direct result of an individual gardener. Some of these ‘criminals’ are stowaways from foreign lands – ensconced in the wood of crates and other packing material. Still others are brought in surreptitiously by gardeners keen to have an exotic in their garden. Cuttings, seeds, bulbs and entire plants have all been smuggled by those not ever intending to cause any harm. But, much harm has indeed been done. Often, bugs from elsewhere have no natural predators in their adopted country. Hence, they can be unstoppable till humans come up with a choice poison. The pests can go undetected for several years. Then, when weather conditions support their growth, we suddenly notice a dreadful disease affecting a specific plant specimen. Thus, we see that there are actually two factors at work here. The murderous bug as well as the climate. It is all too obvious our climate has changed. According to experts, we will be seeing more of the likes of hurricanes Irene and Sandy. The USDA plant hardiness zones have all been ‘upgraded’. So, if you are in Zone 5, you can probably now consider yourself in Zone 6. Pretty incredible right? I personally find it a bit disconcerting that one day my treasured agapanthus that grow in pots and spend the winters cosseted in the greenhouse, will one day, in the not so distant future, be a happily thriving clump in a sunny corner of the garden all year round. But, coming to the immediate, at the Rocky Hills talk given by the highly respected plant pathologist Margery Daughtery this past Thursday, the audience was confronted with the problems of both boxwood blight ( Calonectria pseudonaviculata) and Impatiens afflicted by powdery mildew ( Plasmopara obducens ). In each of these cases, the epidemic is a result of the climate providing the best conditions for the pests. For the time being, these diseases are here to stay. It is safe to assume that scientists are busy trying to find ways to counteract the problems. But until such time, Daughtery advices that we refrain from planting new boxwoods and impatiens. Something else to know, the ubiquitous pachysandra is in the boxwood family and susceptible to the same blight. 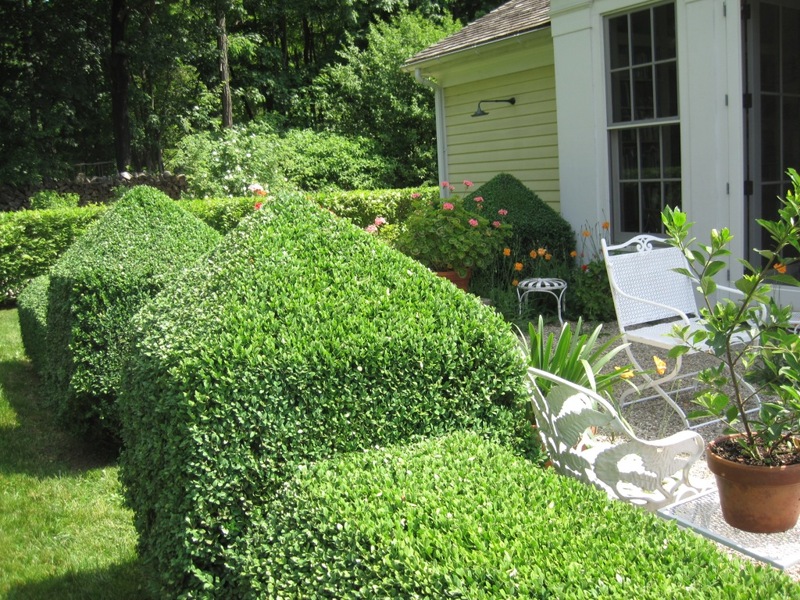 Instead of boxwood, she suggests finding alternatives that could work just as well. Who knew that Lonicera, our native honeysuckle, can be trimmed to give similar shape, structure and function! I’m itching to try this and will do so as soon as I decide on a good location in the garden. The familiar bedding staple that is Impatiens walleriana, is for the time being, a lost cause. Daughtery’s alternatives are New Guinea impatiens or begonias. Simple enough right? Nurseries will not be carrying Impatiens until an all clear is announced. Most will also be cautious with selling boxwood. Instead of lamenting the loss, we gardeners must stand in solidarity and do our part. First and foremost, no sneaking in plants or seeds from foreign countries. Maintain good garden hygiene and strict organic practices. This includes composting kitchen and garden waste, mulching thoroughly, watering only as necessary and getting rid of all diseased material in tightly closed garbage bags with the regular trash. We need to fill our gardens with plants appropriate to our climate, preferably native to our country and with due consideration to genetic diversity. Boxwood blight and the powdery mildew should be seen as the serious signals that they are. We’ve been warned. Healthy boxwood hedge trimmed to shape. I (Shobha) will be giving a talk on gardening on May 7, 2013. Click here for details. This article makes a spiritual connection for me. You help me with life by reading about your ideas about plants, our planet and loss. Poor little impatiens. A reliable workhorse, first reviled by horticultural sophisticates, and now attached by mildew. I love the idea of using honeysuckle, but how will they look in the winter? I wish people would give some thought to our beleaguered planet as they reach for their next bottle of herbicide.